Randall Wiebe is a multifaceted artist. His specialty is portraits. At events such as the Rosebud Music Festival (15 Minutes of Fame), he performs a 15-minute portrait of a volunteer from the audience. As a voice actor, he has acted in Hunter × Hunter, Mega Man Powered Up, Mega Man X8, and Mega Man X: Command Mission, portraying such characters as Dr. Light. 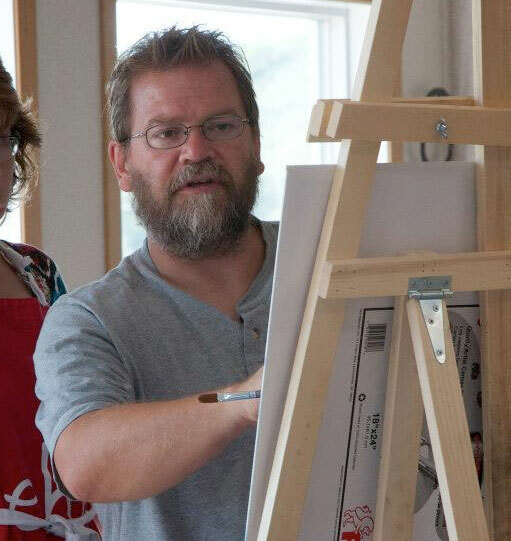 Randall is the Visual Arts Instructor at Rosebud School of the Arts, and is often invited to teach drawing, painting, photography and drama in other communities.